View Cart “Attacking Soccer Mastering The Modern Game” has been added to your cart. SKU: 9781841263472. Category: Soccer. Tags: NSCAA, Soccer Coaching, soccer tactics, soccer technique. 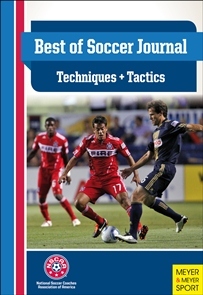 Best of Soccer Journal: Techniques & Tactics is an Official Publication of the NSCAA – The soccer techniques and tactics detailed in this book are drawn from the experience of the best coaches who have ever written for the NSCAA’s renowned Soccer Journal. 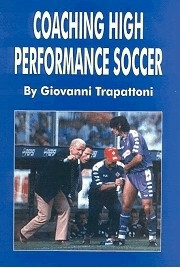 Coaches you can shape your training according to the practical instruction given in this collection. If you want to strengthen the technique and tactics of your team on the field, the colorful, clearly explained and expertly rendered training plans in this book will easily provide you with the knowledge to improve the skills of your players. The book is split into two sections. In the soccer technique section you will learn tips on how to teach technique, develop your player’s speed, passing, shooting, receiving, and ability to think creatively and much more. Contributors to this section include Gary R. Allen of the U.S. Youth Soccer National Staff, the Academy Staff of the NSCAA, Ron Quinn, Wayne Harrison, Craig Brown of the Scottish National Team, Horst Wein, and many others. In the second section on soccer tactics the book offers advice on combination play for attackers, recognizing the moment, sharpening field vision, small group practice, scoring goals, attacking, quick breaks and so much more. Contributors to this section include Raffaele Tomarchio, Anthony Hudson, Wayne Harrison, Jay Miller, Steve Dawson and many other accomplished coaches. This book is beautifully illustrated with full color modern diagrams throughout. Jay Martin (editor) is the winningest coach in college men’s soccer history with a total of 621 wins, and his career winning percentage of .819 entering the 2012 season ranks ninth all-time. In 2011, Martin guided Ohio Wesleyan to its second NCAA Division III national championship. Martin also has served a term as president of the National Soccer Coaches Association of America. He has been a color analyst of the Major League Soccer’s Columbus Crew for 9 seasons. He has been the editor of the NSCAA’s The Soccer Journal since January, 2003, becoming the publication’s third editor since its establishment in 1950. Martin received his M.A. and Ph. D. from Ohio State University. Cardinal Publishers Group is the distributor for Meyer & Meyer Sports in the USA and Canada.